to the the memories of the best day ever. These books will last a lifetime and will be cherished by your family for generations. Your photographs should be printed, not kept hidden away in a drawer, and with archival ink on fine art paper, there are over 70 varieties of Linen & Book Cloth covers to choose from, including a gorgeous new Japanese Linen Range. All books are hardcover and feature flat-lay seamless spreads, are 10" 10" and feature 35 spreads with one 120 of your favourite wedding images, all beautifully pulled together in a unique design to tell the story of your day, to revisit any time you like. All designs are uploaded to a private online gallery, where you can view & make changes to your album, once you have approved your design and chosen your cover, your album will arrive in the mail within 4 weeks. 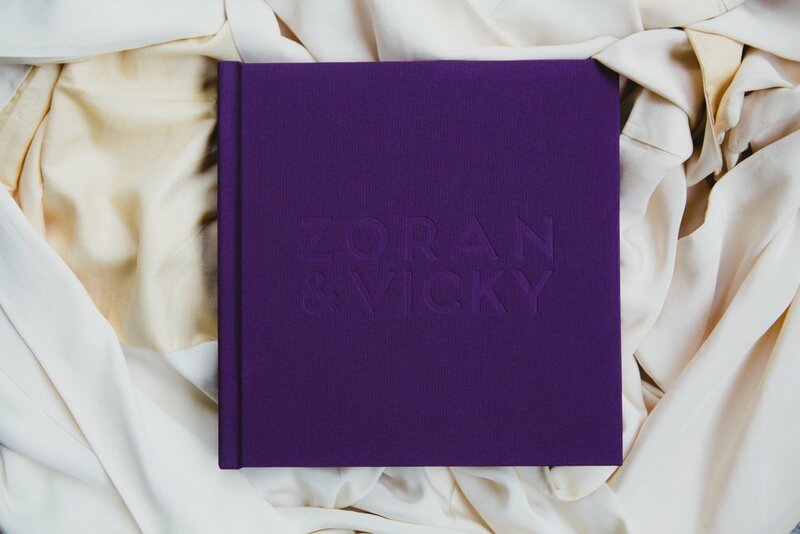 There are discounts on fine art albums when you order with your wedding collection. Get in touch with me for more info on what yours could look like.